Jill Of All Trades: Cleaning hacks that worked wonders for me this Diwali! Cleaning hacks that worked wonders for me this Diwali! Diwali this year was memorable and with it came a flurry of pre-festival activities, right from stocking the fridge with all sorts of goodies to ensuring everything in your house was spotless and germ free. Wash grime stuck in between the floor tiles and shelves by adding vinegar to the soap-water for spotless results. Line the shelves with newspapers to prevent dust from collecting again and use baking soda plus soap-water to get rid of the grease on vents, fans etc. To avoid scratches, use a microfiber cloth dipped in warm water and move your hand in small circular motions. For more stubborn dirt, mix a little washing liquid with warm water and use a sponge first and then buff with a microfiber cloth. It is best to check that all our appliances are in working condition before the festival approaches. Remove the dust from them using a duster cloth and use baking soda to tackle the tougher food/oil stains. If there are scratches on leather chairs or sofas, leather polish comes in handy. For dried food stains on fabrics such as suede, scrub the area gently with an eraser or a dry, soft cloth. Sprinkle baby powder or corn-starch on oily stains as soon as possible. Brush away with a soft-bristle toothbrush and repeat till required. Remove bedcovers and pillow covers if possible, wash them in batches about a week before the festival commences. Check the fabric’s washing instructions since not all of them can be machine washed. Remove all clothes, bags, shoes, anything cluttering the wardrobe and first sort through the pile, throwing away anything you haven’t used in the last six months. Before putting everything back, use mild detergent and water to clean any dirt from the shelves. Line them with cloth or paper once they’ve dried to absorb any remaining moisture. Organize the clothes etc. according to their usage. Use a toothpaste and brush to make the faucets in the bathroom shine again and use potato slices to remove mould from bathroom floors. Festivals are also a time when you finally decide to combat those cobwebs and dust balls and use a broom or vacuum cleaner to remove them from all nooks and corners of the house. But what we always miss is cleaning the corners and crevices. Especially in the kitchen that has all the left over Diwali yummies, threat in the form of hidden cockroaches go unnoticed. And that prevents your house from being germ free. But hey… no way am I going to allow those disease spreading cockroaches to come and hide in my kitchen, festival or no festival. They carry germs that cause food poisoning and hence I have decided to maintain a clean and hygienic kitchen round the year. It’s a matter of a regular habit you know. My little secret is applying LAL HIT each time I deep clean my kitchen. I usually do this once a month. What's important is each time I ensure that LAL HIT is applied in the corners, cracks & crevices. 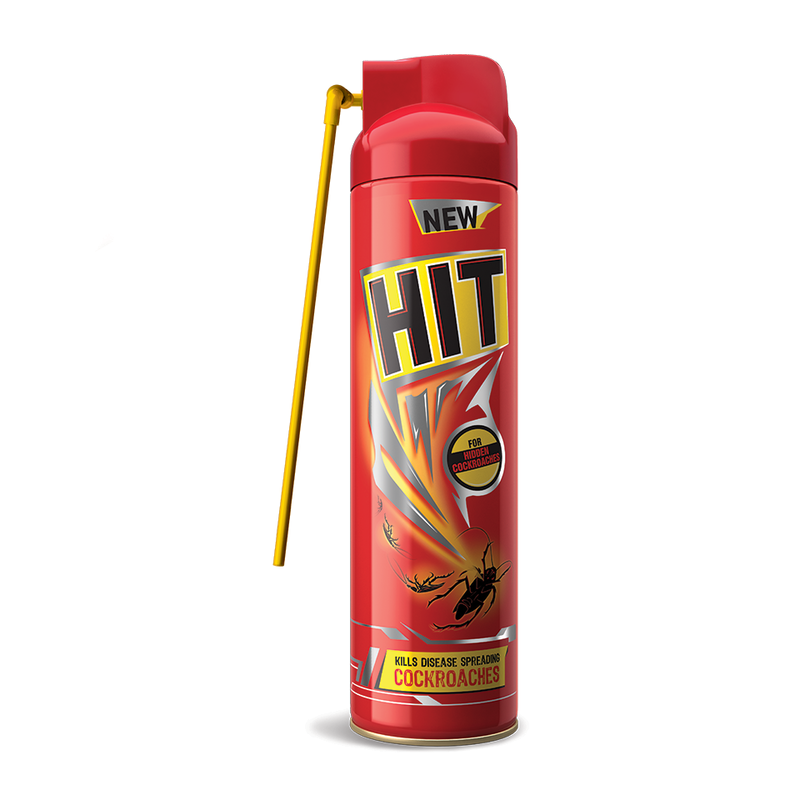 This aerosol comes with a unique ‘Deep Reach Nozzle’ that can reach inside hard-to-reach places and eliminate all the hidden cockroaches. I have thus ensure a germ free safe kitchen and household pre and post Diwali. Try it out and let me know how it worked for you.